Price is exclusive of both installation cost and SIM card cost. Price also excludes an additional cable for Mercedes and Volvo Vehicles. What is remote download and why do I need it? Downloading Digital Tachograph data is undeniably time consuming and costly. Remote download allows a vehicle to automatically download and transmit it’s Digital Tachograph data via WIFI or GPRS technologies. In the case of digiDL data is sent directly to FTA servers for analysis. How do I check if my digital tachograph unit is compatible with the DigiDL? You can check compatibility by clicking here and entering your tachograph serial number. Will digiDL let me set my own schedule for remote download? Can digiDL download Driver Cards? What happens if an agency driver is operating a vehicle fitted with a DigiDL? It is recommended that agency driver’s have a secondary solution to download their driver card. This will ensure their complete shift will be captured. Does digiDL produce files with signatures required by the authorities? digiDL only provides legal files with signatures. The file format is the same as the digivu or digifobpro and is in the .ddd format by default. How quickly can I recoup my investment on the digiDL? On average we would estimate that 2 man days per vehicle is spent downloading vehicles and uploading Driver Cards. Taking into account overheads it could be as little as one year for digiDL to return a profit on investment. Of course digiDL also allows a greater frequency of download if so required and is far more reliable in terms of capturing data in a timely manner. Do I still need to use a Company Card in the vehicle? One of the major points of remote download is that the Company Card is kept remotely from the vehicle. In the case of digiDL the company card can be placed in the card reader of any PC connected to the Internet. The supplied PC software effectively connects the Company card to the FTA server ready for connections from your vehicles. digiDL is intelligent and will only need to contact the Company Card for approximately 20 seconds in every 12 hours. In very large fleets you can use more than one Company Card to avoid contention. Can digiDL download any Digital Tachograph remotely? 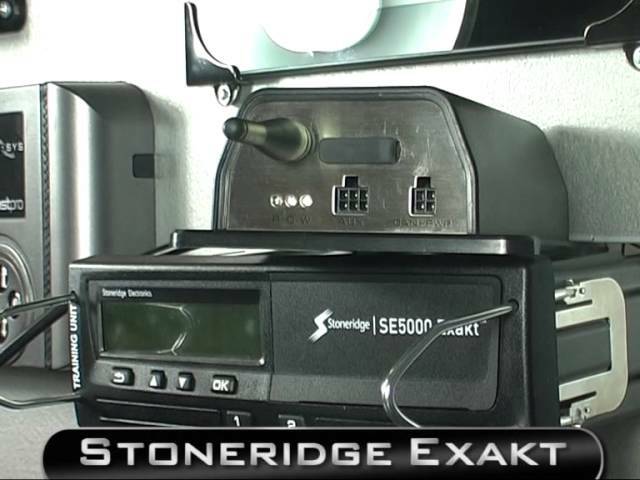 digiDL will download any VDO 1.3 or 1.4 Tachograph and any Stoneridge from Revision 7 onwards. In very broad terms this tends to include vehicles from 59 plate onwards. This is because the remote download standard was finalised in early 2009. With the digiDL GPRS version how much data is sent? What about the safety of my data, can anyone else capture it? All connections between digiDL and the server are encrypted. The digiDL does not accept any connections from external servers or devices so cannot be interrogated. What if I change vehicles can I move the digiDL? The digiDL will automatically associate with the vehicle it is connected to. You can move the digiDL from one vehicle to another provided the new vehicle has a compatible Tachograph. You will need to create a new schedule for the vehicle. Is the digiDL easy to install? Does my Tachograph meet the required specification? Remote download was introduced in late 2009 so vehicles mainly from 2010 onwards are fitted with Tachograph compatible with remote Download. With VDO units you must first check the Tachograph Version is 1.3 or later then you must check the VU part number or Model to ensure the unit has a secondary CAN installed. Note that DAF LF models and some other vehicles in the Renault range may require the secondary CAN to be enabled with a VDO CTC Programmer. The Stoneridge unit must be a Rev 7.0 or later. Use a VU Technical print out or Tachosys Tachofileviewer to check.